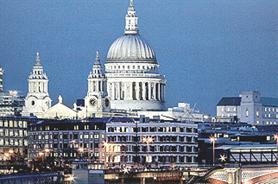 Event agency Smyle has been named a technical partner of St Paul's Cathedral. The agency has been made a preferred supplier for technical production, initially for the summer. However, a permanent agreement may be signed in due course. Alana Buckley, St Paul’s corporate events manager, said: "We are so excited to be working with Smyle during 2012 and hope that this can become a lasting partnership, resulting in some exciting events being held at St Paul’s." Rob Rooke, Smyle’s head of business development, added: "Smyle has been blessed through being able to produce events in some of the UK’s most historical venues and adding the world-famous St Paul’s Cathedral as a partner is testament to the recognition our creative and technical teams have achieved over recent years."